A week long experience of the thrill and buzz of the Broadway stage for Grades Sk to grade 12. Your child’s happiness and comfort is our priority so students are divided into groups of similar ages, to enhance their experience of camp and help with establishing friendships and connections. Do you have an actor, singer or dancer in your family? Let them put these talents and desires to the test and join us as we reach for the stars in working towards a specially adapted musical extravaganza which will be performed to parents and friends on the final day of camp. From creation through to performance, we take your actor on a journey of imagination, creativity and fun through Dance, Drama and Singing. Join us on stage with other like minded students and inspirational teachers as you make the stage your world for a memorable week of laughter and friendships through the Performing Arts! 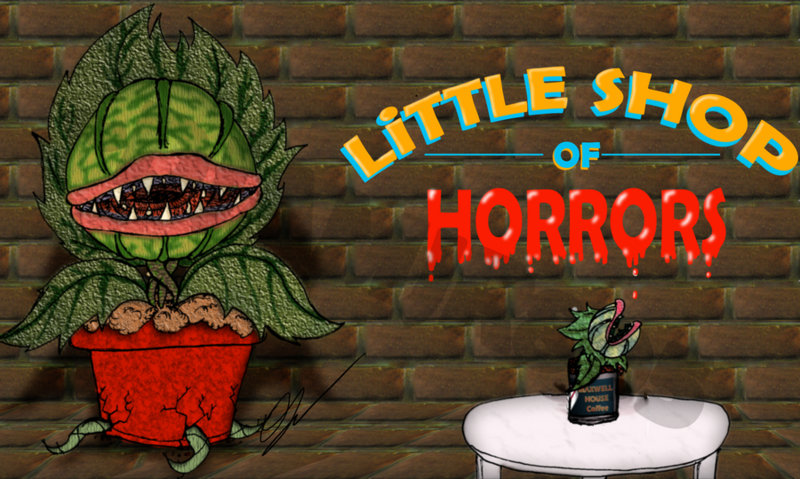 Audrey Junior, or “Junior ” is a carnivorous plant from the Prehistoric Vegezoic era, which sprouted from a fossilized seed found by 13 year old Seymour, a young flower shop employee. Not only was Junior sprouted with the ability to speak English, but he also possesses the supernatural ability of mind control, as well as “vegetable magnetism,” which allows him to telepathically manipulate any object that’s plant-based (wood, rubber, etc.). Although he can speak – and has a penchant for rapping – he’s decided to keep this a secret between Seymour and himself, since the rest of his species was forced into extinction by the dinosaurs. Junior does not eat anything that’s plant-based, but he loves to chow down on meat, and he’s been known to devour junkyard dogs and a human or two. Both camps will perform at one performance. So impressed by the Hard work and talent of all the students involved…. such fun!!! !